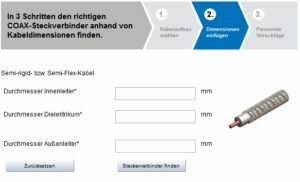 The new Cable Connector Finder in the Telegärtner Online Catalogue Coax enables you to find the right RF connector for a certain RF cable by entering a few cable dimensions. 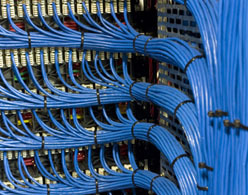 Then the possible connectors are displayed. 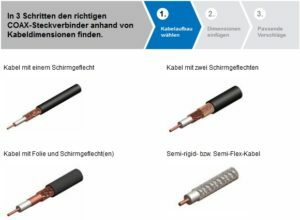 And in the unlikely event that the Cable-Connector-Finder cannot find the right connector, the tool gives you the option of sending your specification directly to our experts. 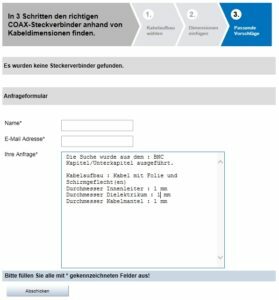 They will contact you directly and help you with your search. 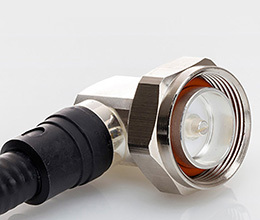 Select the desired connector series in the online catalogue Coax. 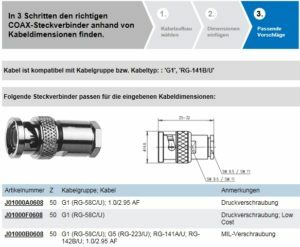 Suitable connectors are now shown in a list. If no suitable product can be found, a form filled in with your entries opens. Just add your e-mail address and send off the inquiry.